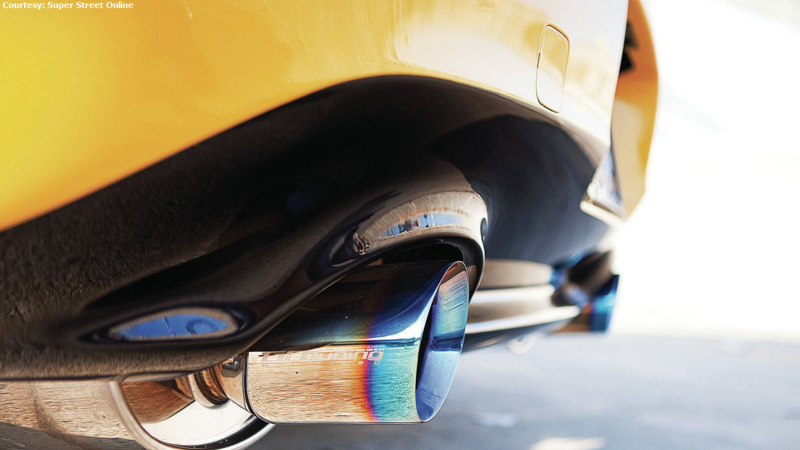 The S2000 community has been kept alive in large part by dedicated modders like Tae Min Chang. What he's been able to accomplish on a dry cleaner's wages with his AP2 is nothing short of incredible. Leave your preconceptions about car modding whizzes at the door. Depending on how you might look at it, Tae Min Chang is an underdog in the heroic sense. 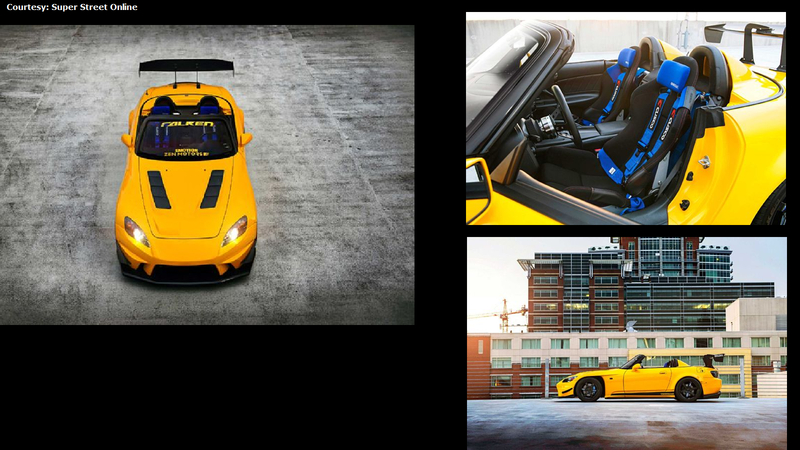 He has overcome unlikely odds to live out his passion for cars, encapsulated here with this souped-up 2007 AP2 S2000. Working full-time as a dry cleaner, he puts much of his spare earnings into making his machine the best it can be. Going directly against the notion that sports car modders are rich kids, Tae Min Chang's S2000 is a pure example of what is possible when someone puts their mind to it. >>Join the conversation about Tae's S2000 right here in S2Ki.com. Some of you may remember back when the S2000 was first introduced by Honda in 1999. Tae Min Chang remembers. Eyeing the then-new S2k (obviously back then in its AP1 phase) he was quickly disappointed to find the car was above his pay grade. Even under the leanest financing, the insurance by itself for a new S2000 at the time could end up being more than a month's rent. This didn't bode well for a guy working within a dry cleaner's wages. All the same, there's something about the pureblooded design of the S2k that speaks to some people as soon as they see it. And Tae never forgot. The tides turned for Tae, at least by the time the 2007 AP2s were freshly available. Though the AP2 lacked the uncompromising sharpness as a pre-facelift AP1, Tae found himself at the point in life where he was able to manage a purchase of an S2000-- and a new one at that. In the years preceding getting his S2000, Tae had given himself plenty of firsthand experience with modding his previous daily driver, a souped-to-the-brim Honda Accord. Even so, it was three full years before he even touched his S2000 with mods. Before too long, of course, it would be another story completely, but it does go to show how much respect the S2000 demands even in its stock form. Who knows how long Tae Min Chang would have been happy with keeping his S2000 as a pure stock model. The modding bug can't stay quiet forever if you've got it, after all, and it goes without saying the S2000 attracts more of that imagination than most. Tae decided to begin modding this AP2 after receiving scratches on the bumpers. Maybe it was perfectionism or just a reasonable excuse to get on with building up the car; in any case, it lit the fire that led the S2000 through its first series of improvements. Focusing on performance improvements at first (including an installation of a Vortech supercharger) he cites his earlier modding experience as a vital part of what made the new one work. It'd be best to think of Tae Min Chang's S2000 modding in a series of waves. Under-the-hood performance mods were his forte from the Honda According days, so it makes sense he focused on those at first alongside light exterior modification. By the point he hit full swing with this however, the AP2 began showing a clear transformation into the quasi-racing show car it is today. Where a previous couple of slides showed Tae's S2000 in its earlier modded state, this photo captures the car in what Tae himself referred to as "stage two" of its evolution. It's noticeably more aggressive and flashier in presentation than before. Consequently, this has resulted in the S2000 getting a lot of notice. From a flattering spread in Honda Tuning some years back to more recent exposure via Super Street Online, the determination has certainly paid off in recognition. If you ever asked Tae Min Chang where the secret behind his S2000 success came from, he would probably refer to the years of work it took to get there. Modded sports cars like this can be seen as products of a privileged background and wealth. Not for Tae, though. For him, this S2000 came about through sheer force of determination and an honest love of the automotive craft.